I think we're so often down on ourselves about many things, and as bloggers, I think a lot of us think that our blogs just aren't good enough. There are shining examples of beautiful blogs out there, and that's wonderful. There are others that may not be as visually appealing, and that's okay, too! So, on this final day of the love month (and the #loveblog2017 link-ups), I wanted to talk about ways to love your blog (regardless of how novice or experienced you are), things I love about my blog, and ask you to connect with me on Bloglovin' and my social channels. 1. Write about what you love, what you know, and what you're interested in. 3. Be consistent, but don't be hard on yourself if you don't post every day or if you have a lag between postings. 4. Remember why you started blogging and what keeps you blogging. Seriously, if you enjoy it - do it! If you're not enjoying it so much - take a break! What are your favorite things about your personal blog? These are such important things to remember! 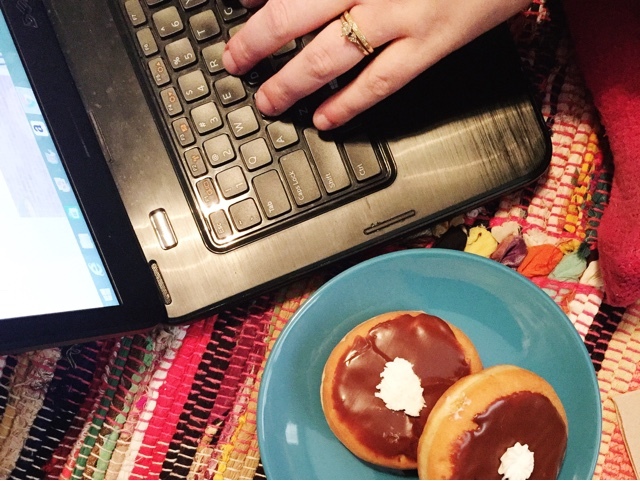 Blogging has to be for yourself, first and foremost. All of the things that come along with it are added perks. YES! Perks, but not the purpose. These are some great things that are so important to remember. If you lose focus and start blogging only for the money, it's not fun anymore. These are all great ways to love your blog! Each of us has a unique voice, and there's a place for all of us in the blogosphere. I agree! I think everyone has a place and are all a part of this wonderful community.